worked all during high school & college. 33 different Airplanes and 18 Gliders." of aviation his entire life. projects not available anywhere else. of Oregon - GO Ducks!!!! and is a former US Army Lt.
with my wife, go to movies, and BBQ." Officer -in the Special Forces Unit. His Motto- 'The Extreme Team'. Taiwan - as shown above. and has 4 adult children. 2000 hours of flight time. 8 years as an aircraft mechanic. Station agent on Wake Island. department at the Hillsboro airport. Where would the Museum be without them! 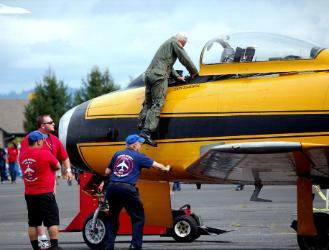 Literally thousands of hours are necessary to keep these magnificent Warbirds flying. 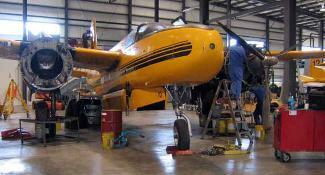 to aircraft technicians and aviation enthusiasts. 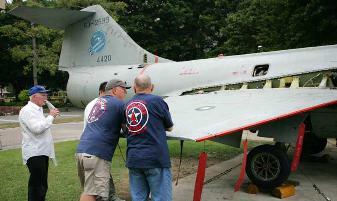 Their commonality is their love and respect for aircraft and aviation history. knowledge and contribute many hours of dedicated service to the Museum." and joined the Air Force. and F 102 aircraft engines. Crew Chief on the C130s. on the F102 & F4C.